INVISIBLE AMERICA PRESENTS: ARIZONA GOVERNOR JAN BREWER AS "BULLCHETE"
The Bush Twins do Baghdad! A Powerful American Caught in a Lie! 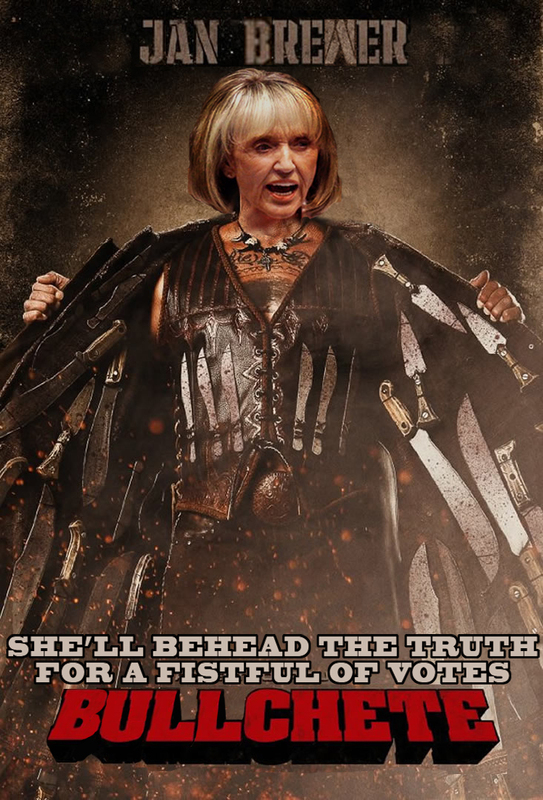 Arizona governor Jan Brewer has been lying about 'beheadings' in her state to whip up anti-immigrant sentiment. It's real-life Mexploitation. Thanks to Lalo Alcaraz for naming this frightening creature. All stories, including all images, text and video, are provided free of cost by the citizens of Invisible America, unless otherwise noted. We often export our goods to other sovereign sites, newspapers, and other media outlets. All we ask is that you please write before you bite.